This year the field appears to be seven boats at his time. The first one to watch, the defending SBI World Champion WHM. What makes this entry one of even more interest, they have built a brand new boat and this is its very first competition ( http://seriousoffshore.com/forums/sh...ad.php?t=23749 ) . One would think that sticking with the equipment that gave you last year's World Championship and second overall for the season in the National Championship standing, may be the only way to go. But obviously that's not the way of most front running teams. Second for the season must not have been good enough for these perennial front runners. Keep an eye on them, should be fun to watch. Another boat that is always in the hunt of any race, Broadco, has completely fixed all of the issues caused by their spinout at their last event. There is no thought other than that they are also planning on being in the first place at the end of the week. Their team has consistently proven to be ready at all times to compete with anyone on the course. Next up would be the team who has been missing the past couple years, traveling all the way from the West Coast to once again show the fans what they are capable of doing. 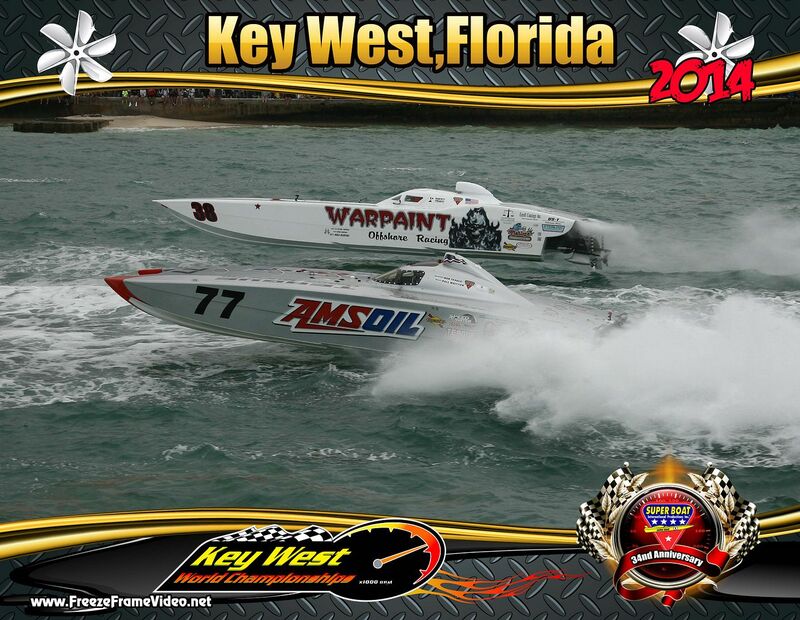 Amsoil is no rookie to being on a podium at the end of any event, and there is no way they plan on being anywhere else at the end of the Championship week in Key West this year. We doubt very much that they have gotten rusty, and they have been running events and practicing to get their winning groove back. Cleveland Construction, still learning at every event on how to make the boat perform to its best capabilities, has steadily improved this season. Everything points to they are getting there and this may be the event that puts them among the other front runners. 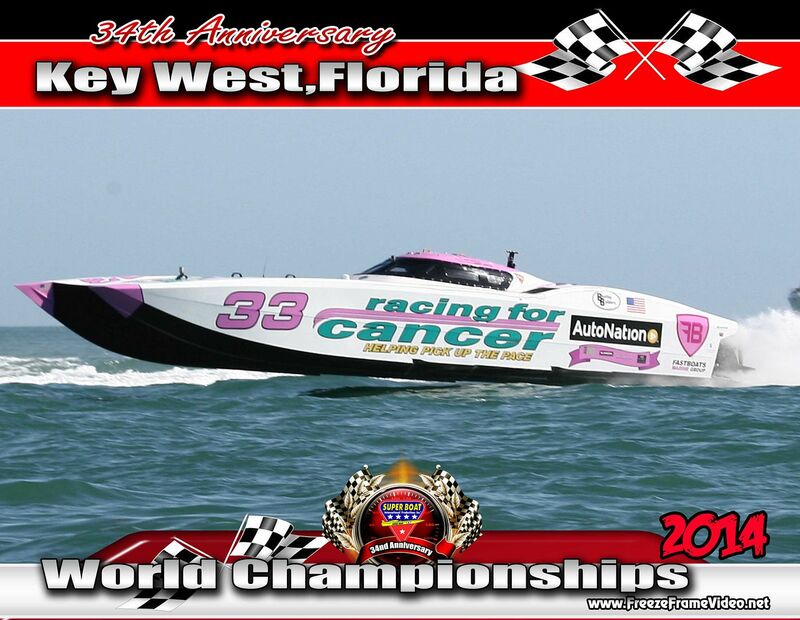 Another boat which has steadily improved over the course of the season, Racing for Cancer, has serious plans of finishing on the podium this year. With a new driver starting out this season, and taking the smart plan of learning and improving every event, they have shown that plan to be a prudent one. They are expected to be right there every race, and close competition with the others is what they are envisioning. Another boat that has had some setbacks this season, but is ready for Key West, is Warpaint. Over the years they have had some serious ups and downs, but as true competitors they have returned every time and are hoping this year belongs to them. Superboat, (Supercat ), has become quite the class of true racers who want to show their capabilities on the course against stiff competition. This group gets better and better every year under the new class rules, and this year should be the best so far. Everyone should enjoy being a spectator for these teams. Good luck to all, and stay safe!! Sure am not used to seeing Amsoil go down before the race is over, too bad. Stihl looks to be wanting really bad to follow up their National Championship with a World Championship. Unofficially Broadco first, Amsoil second, and Racing for Cancer third. Tough conditions today, Stihl broke a drive odd the transom. Congrats to Racing for Cancer. Their goal was to get a podium finish, and they did. An amazing class with competition second to none. Wonder if there will be more teams next year?